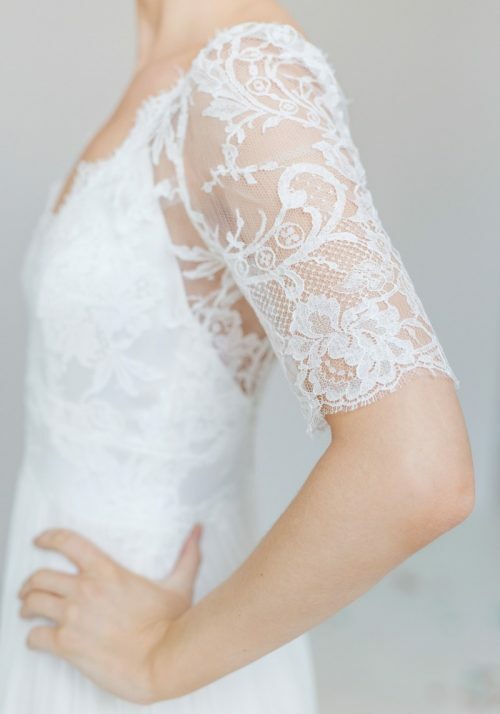 Marianne has the most lovely French lace sleeve and bodice. 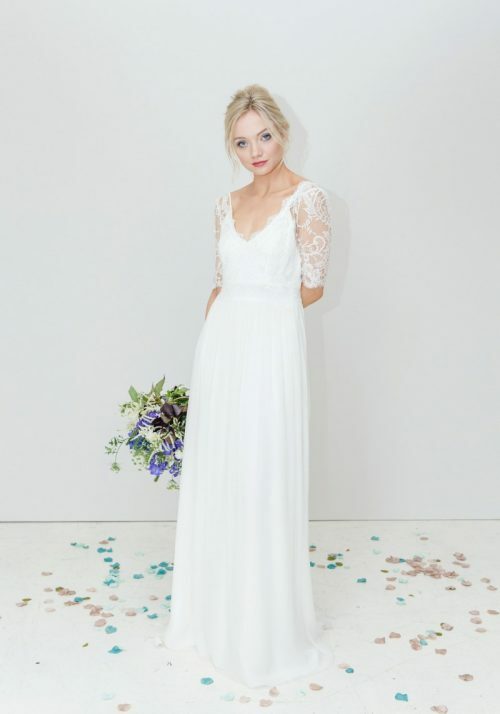 A romantic design with a cut away bodice under the lace creating a very flattering line from the side. Worn with built in cups this design is super easy to wear. A crinkle chiffon skirt creates a classic boho shape. The best though are the covered buttons fasting down the back deep into the skirt. These are the fastening and not just for show. They add a wonderful touch to the design.